These exams, featuring photographed images, are revised editions of those sold over the past several years as 2007 and 2008 R & M Exams. Hints have been included in the text to assist in identifying those specimens difficult to identify by images alone. No need to print the images as they may be viewed directly on a computer monitor. Rules for this event have changed very little during the past 15 years or so, so you needn't be concerned about receiving 'dated materials'. 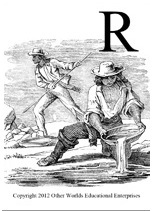 Kit includes 30 of the 34 rock specimens included on the NSO R & M list, plus a CD containing three introductory PowerPoint-formatted presentations, 35 instructional stations, and 36 lab stations to provide detailed instruction for the rock specimens of the Rocks and Minerals Event. Does your team have access to the Rocks and Minerals Kit purchased from Earth Science Educators Supply during the past several years or the current Rocks and Minerals Kit purchased through VWR? If so, this CD is for you. This CD includes the same activities as those described above, but with numbers matching those on the Official NSO list. This 47 question/answer card set, featuring a total of 188 ques-tions, may serve as either a 'stand-alone' activity or as a substitute for the 'R' category when playing 'The Game of EARTH'. 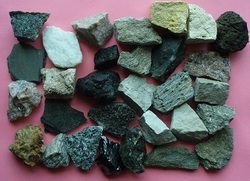 This card set may serve as either a review activity prior to testing student knowledge or as a preparatory activity for the Science Olympiad 'Rocks and Minerals" event. The product is available in two formats: (1) one printed, ready-to-play set or (2) CD Version to permit printing multiple sets. Take a moment to carefully observe the minerals in the photograph to the left. Many of these are comparable in quality to those on display in natural history museums and professional collections. Except for their bases where they were once attached to their natural formations, these minerals display unbroken, crystalline surfaces. Have you ever observed such attractive specimens in standard, run-of-the-mill kits? Quite likely not! 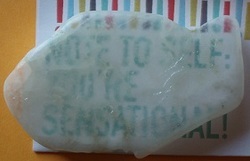 High quality specimens are beautiful to behold and cherished and admired by owners and spectators alike. The crystalline shapes of high quality minerals, unlike those generally included in standard kits, readily betray their identities! In evaluating the quality and number of specimens included in this kit, check out the comments submitted by previous purchasers appearing to the upper right. Your students spend hours in preparation for their exams and competitions. Do they not deserve the very best speci-mens possible to assist them in meeting their goals? 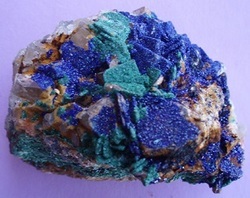 With the exception of two or possibly three specimens, due to availability issues, these high-end kits feature nearly all mineral specimens included on the Official NSO Minerals List. 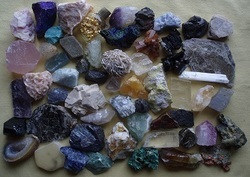 Shelly and I would like to thank you for the AWESOME collection of minerals that you sent us. The quality is so incredible that you have Shelly speechless ... no small feat!!! In fact Shelly is now looking for a display case so the specimens may be kept out in the open for all of our students to come and look at during their free time. Thanks, again! 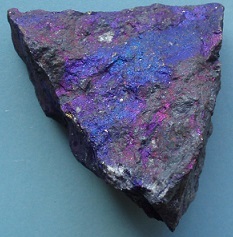 ​You are invited to download a free Coaches Guide to Rocks and Minerals by clicking on the "Download File" to the bottom left. This document introduces a very effective approach for guiding S.O. participants in constructing an organized, thorough and rapid, information-locating student notebook. ​Comments are welcome and may be submitted to LWothworld@aol.com . Thanks for the free resources! I down-loaded and gave the R & M Guide to my kiddos before the Regional competition and they said it was very helpful. They ended up doing fairly well in the R & M event. I believe their success was in part due to the great resource. 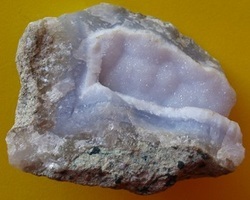 As the owner of Other Worlds Ed Ent, LLC,, I will be attending the Minerals and Fossils Shows in Tucson, AZ, from 01/31/2019 through 02/07/2019 to replenish our offerings of minerals and fossils as well as adding other specimens that we may not have offered prior to this time.. Please be aware that orders made during that time frame will be shipped shortly after my return. I apologize for any inconvenience this may present to you. Please note: Descriptions and quality ratings are intended to provide a comparison between fair to high quality specimens. You will most likely note that the cost of our minerals exceed those included in kits featuring large numbers of specimens. Why? 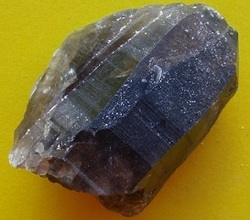 Unlike specimens included in a majority of instructional kits, those from Other Worlds are of a much higher quality, generally larger in size, often in crystallized form, hand-selected and include several characteristics generally associated with each mineral. 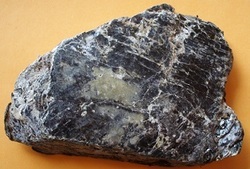 The testimonials located near the top right hand corner of this page and those on this site's homepage honestly reflect the excitement our minerals generate. The beauty of our specimens excite students and encourage them to delve deeper into their studies and observations of them. 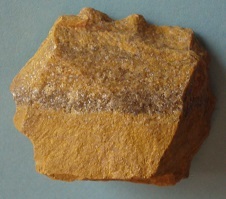 White crystals densely coating 50 - 100% of its---the specimen's surface. Stunningly beautiful! 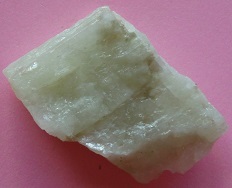 Thinly stacked, leaf-like, light green crystals on white matrix. Beautiful! 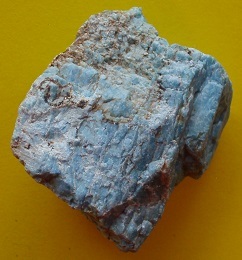 Light-blue in color. Sparkling surface! Curved depressions on its surface. 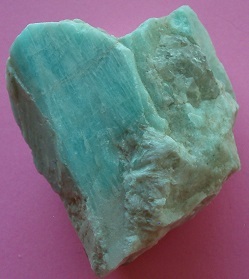 A unique crystalline mineral! Unfortunately, no more of these will be mined in the future as the sole coal mine from which these were mined has been permanently closed! 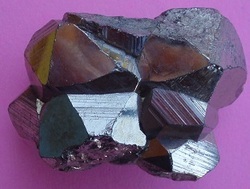 Beautiful, unbroken layer of dark, sparkling garnet crystals on a thick matrix. Incredible specimen. Very limited number available. 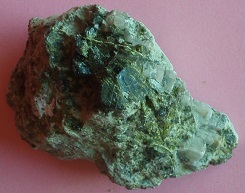 Beautiful layer of green crystals on a matrix intermingled with miniature, clear quartz crystals. 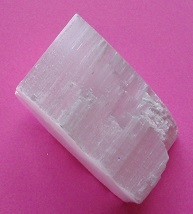 Lengthy pink bands scattered randomly on a white matrix. 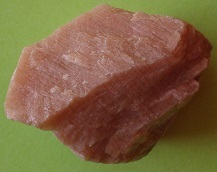 The color pink is a result of prolonged natural irradiation. 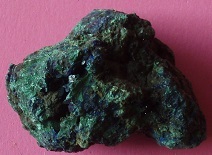 Near flawless, beautiful dark green specimen. Thinly cut section, ~ 1" in width. 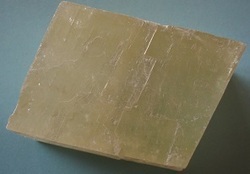 Displays optical properties similar to ulexite. Large specimen with distinctive coloration. 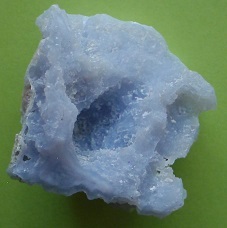 Numerous beautiful blue crystals in this partial geode. 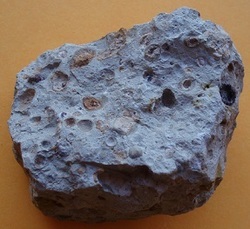 Large gray-colored specimen with small patterned brown nodules distributed on its surface. 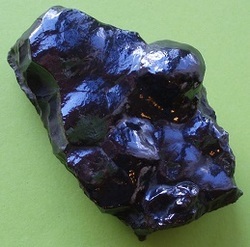 Shiny dark surface with numerous characteristic humps on its surface. 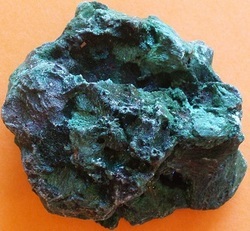 Dark green, sparkly, and rough surface texture. 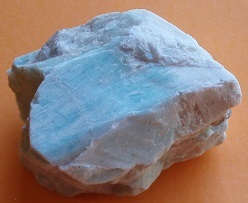 Light blue color. 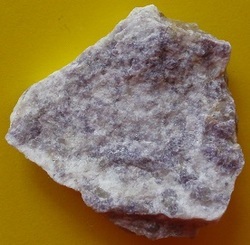 the mineral comes in a variety of shapes. 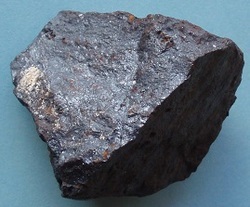 Contrary to common belief, not all magnetite specimens possess strong magnetic properties. 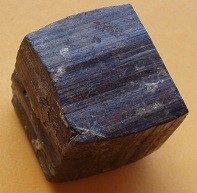 This is one such sample chosen to provide evidence for its lack of magnetic properties. 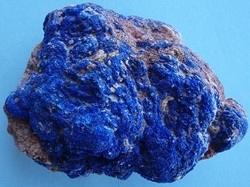 Excellent example of these two associated minerals. Large specimen with very distinctive coloration. Cubical-shaped. 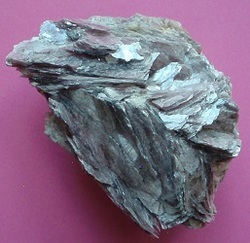 Pseudomorph after pyrite. 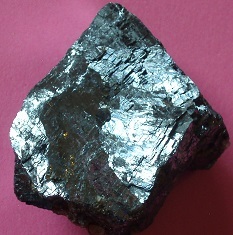 Retains original pyrite shape. 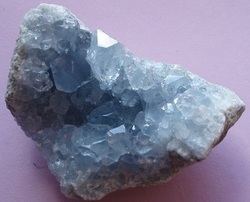 Beautiful crystallized, light blue interior. 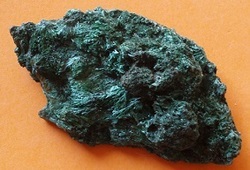 Large, beautiful specimen of pure copper. 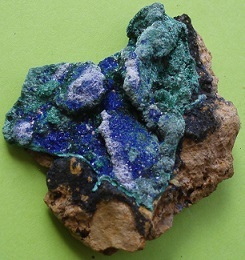 Two separate, small specimens - one malachite, the second azurite. 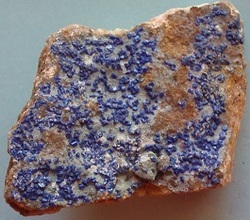 Thin layer of small azurite crystals on a thickened matrix. 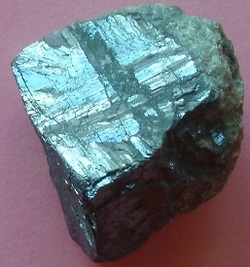 Gray and black, shiny surface. 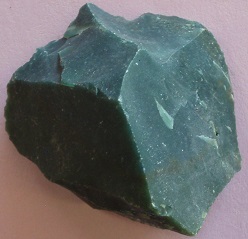 Very dark green, smoothly curving concave surfaces. Light blue in color. Concave surfaces. 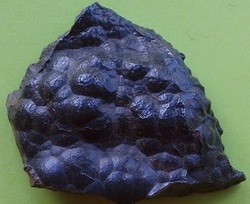 Large specimen with sharp, distinctive shapes and patterns. 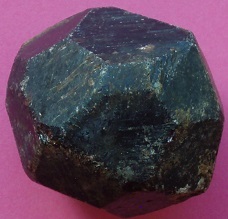 Hexagonal shape. Dark green in color. Narrow sides. ~ 1.0" in length. ~ 1" in length. 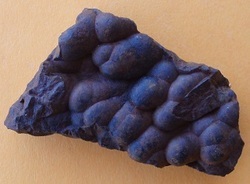 Very dark surface color. 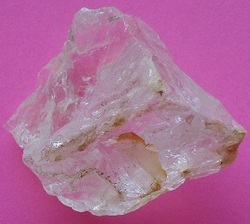 The 'X' shaped crystal is totally intact. 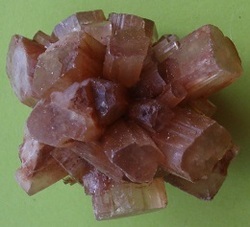 Dark brown hexagonal -shaped crystal, 1" - 1.25" in length. Ends are flattened. Sides are of varying widths. 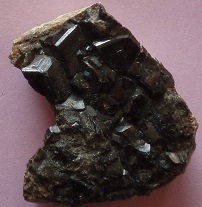 Well-defined layer of shiny black crystals on matrix. Large specimen. 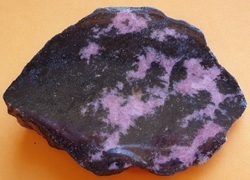 Chosen for its very distinctive pink-black coloration. 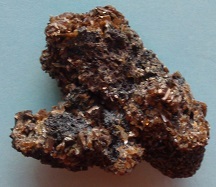 Brown-colored, rough outer surface. Interior is a sparkling tan color. 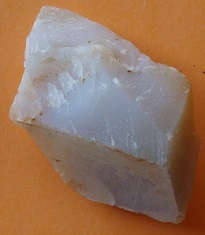 The cutting edge is white in color. 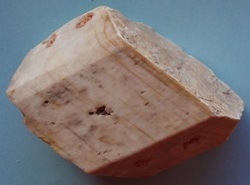 Large specimen. Standard optical property. 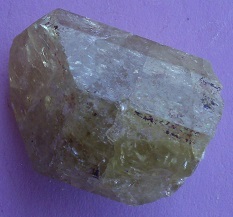 This specimen possesses both the characteristic yellow citrine and milky quartz. 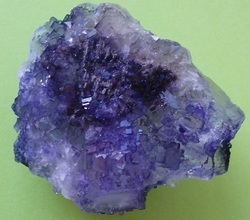 It possesses little evidence of a crystalline shape. Generous amount of silver in a bottle. 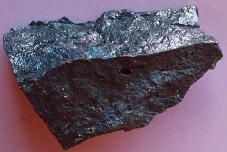 Often material remaining after a silver-plating operation. 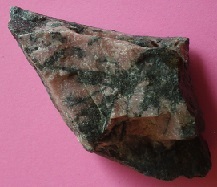 Small specimen with characteristic pink and dark colors. 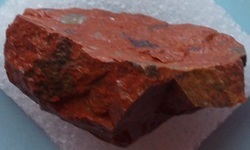 Dark red-colored surfaces on slightly curved convex sides. Its name was derived from its black stripes crossing the specimen's dull-red surface. Note the horizontal stripe on the image. 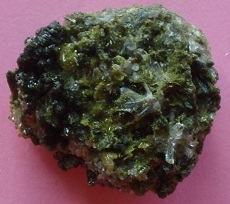 Small specimen with a layer of small dark green crystals on a matrix. 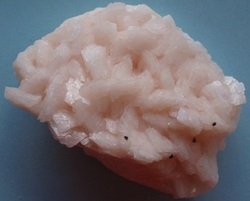 Small specimen. Sparkles when tilted to and from in lighted area.. Very large, rather thick specimen. 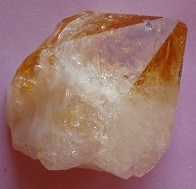 Numerous crystal-like features radiating outward from its center. Pinkish-red color throughout. 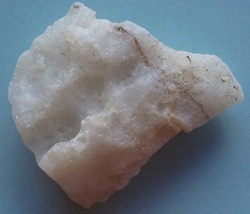 Small crystal with distinct edges and flat surfaces. 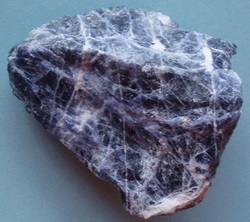 Small specimen revealing the characteristic dark blue surface color and white striped pattern. Small specimen composed of multiple small cell-like units. 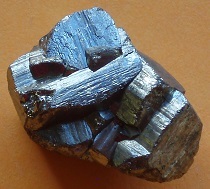 Beautiful assembly of numerous, shiny crystals oriented in many positions. 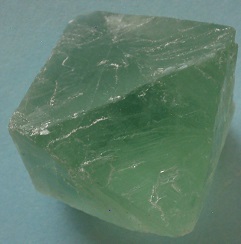 Small specimen, light-green in color. 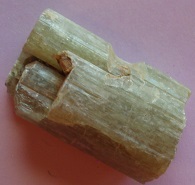 Cylindrical-shaped about 1.5 inches long with striations running parallel lengthwise. Clear, long and thin surfaces. ~1.5" - 1.75' in length. 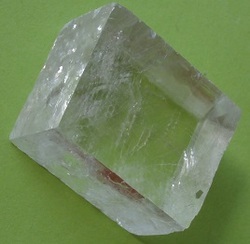 A very unique twinned crystal. 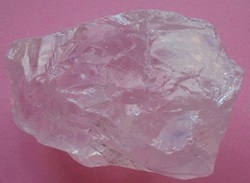 Pinkish coloration with sharp and distinctive sides and edges. 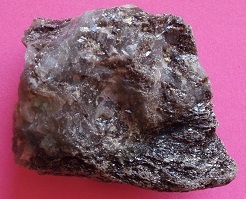 Numerous small crystals form its upper surface. Chip-sized, ~ 1.25" to 1.5" at longest dimension. Light pinkish in color. 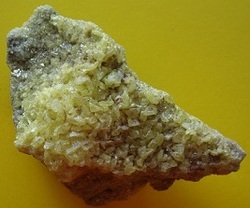 Thick layer of crystallized sulfur on a substantially-large matrix. 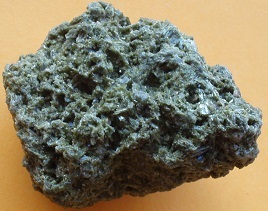 Small, medium-to-dark green crystals on matrix. 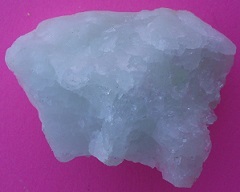 Small, light bluish-green colored specimen. Upper surface displays numerous, small-rounded hump-like features. 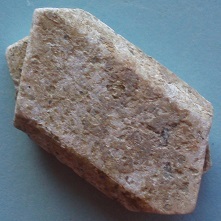 Large specimen composed of an upper surface with relatively large, interlinking crystals. 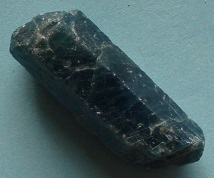 ~ 1/2" in length; small-size renders its being an affordable, crystallized gemstone. Yellowish-clear in color. Double-bagged for extra protection. 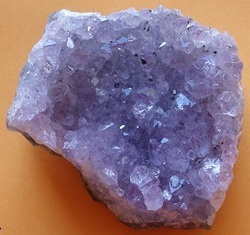 Crystalline, dark-purplish in color; sparkly, and irregularly-shaped. 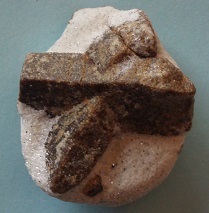 Small, irregularly-shaped specimen with varied surface details. 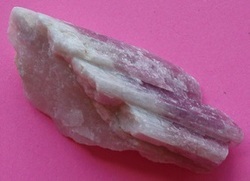 Layer of pink tourmaline on a matrix on quartz. 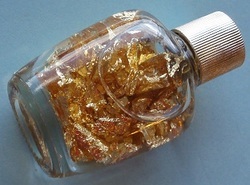 Gold sold in small bottles is generally includes scraps from gold-plating operations. Sparkly, shiny surface. Small-sized specimen. 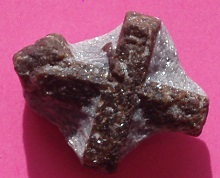 Six-sided specimen ~ 1 inch in length. Ends are flat in appearance. 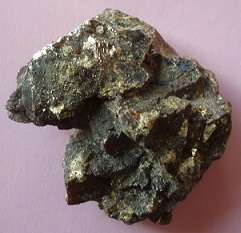 Highly magnetic specimen coated with small metal shavings. 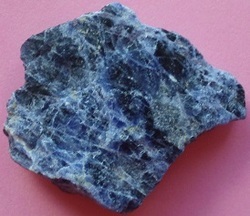 Characteristic dark blue color with crisscrossing white lines. Deep-red, shiny surfaces. Mounted onto a white plastic square. 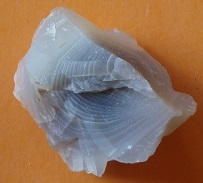 Large in size; sharp, non-eroded edges. ~ 1" width. Crystallized 'rust'. Dark brown in color. 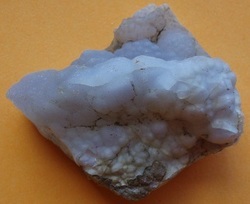 Surfaced with small rounded 'hump-like' features. 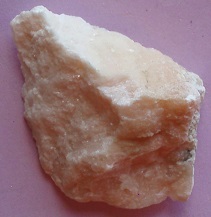 Clear to lightly-tinted specimen. An intriguing, unique appearance. 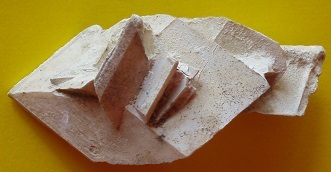 Near flawless specimen of this unusual crystal form of gypsum. This is an incredibly awesome specimen with numerous individual crystalline units combined to form a single, large specimen. 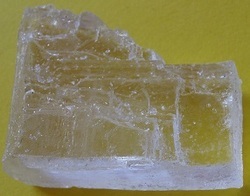 One or more nicely-shaped crystals, with partially broken surfaces, clear in color. 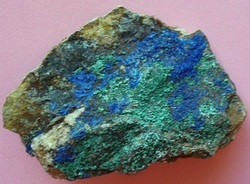 Blue-green surface mixed with areas of white. Flat surfaces and sharp edges reveal its crystalline properties. 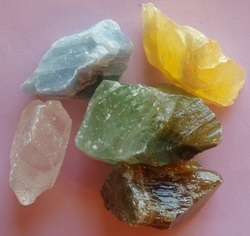 Honey green, orange, green, clear and blue colored specimens. 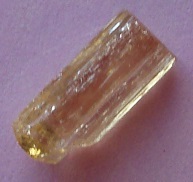 A single, four-sided crystal with an approximate length of 1 inch. 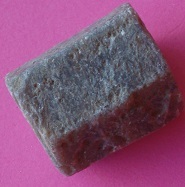 Small specimen. Beautiful alternating pink and white, elongated pattern. 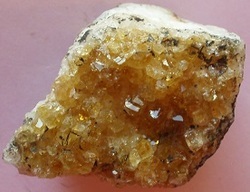 Crystalline layer of citrine on the upper surface of a large quartz specimen. 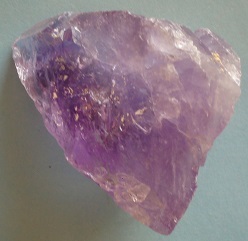 Thick layer of amethyst composed of multiple crystals atop a dark matrix. 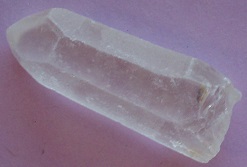 Beautiful crystal point atop a white base. 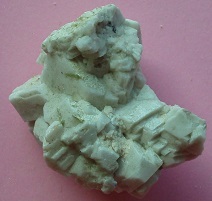 Calcite pseudomorph after Glauberite. 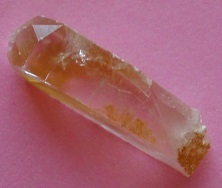 An unusually-shaped, tan-colored specimen composed of numerous crystalline shapes. 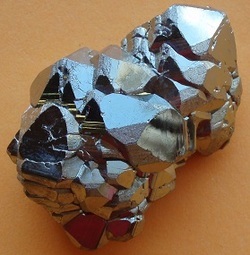 Mica mixed with quartz. 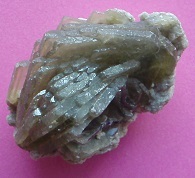 This specimen differs from most due to an absence of obvious layering. 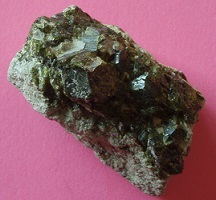 Mixture of dark green crystals appearing on a mostly light-green colored matrix. 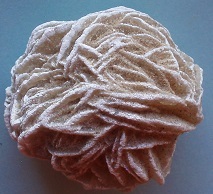 Small specimen. 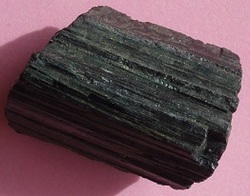 Characteristic slender striations on cleavage sides. Beautiful specimen with a varied surface. Small specimens. Dense and shiny. 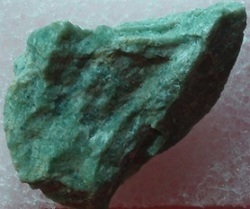 Intermingled associate minerals appearing as a thin layer of the specimen's upper surface. 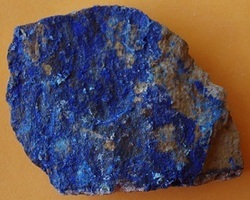 Thin layer of azurite on an upper surface of a granite matrix. 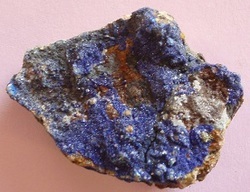 Thin layer of azurite on the upper surface of a tan-colored matrix. Light-green color. 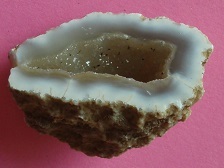 Small specimen glued onto white-surfaced porous plastic material.